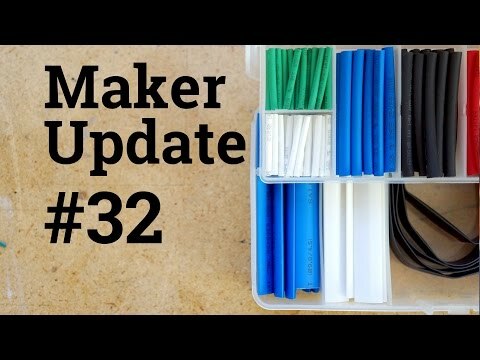 Here’s this week’s Maker Update, featuring the best DIY projects of the week. (Show notes here.) As usual, I have a Cool Tool review included. This time, it’s heat shrink! Of all the things I have in my electronics toolbox, nothing gets my kid more excited than seeing me use heat shrink on a project. The stuff is like magic, plus there’s usually fire involved — so that’s a bonus for him.